$29,000 USD REDUCED from $35,900 USD. 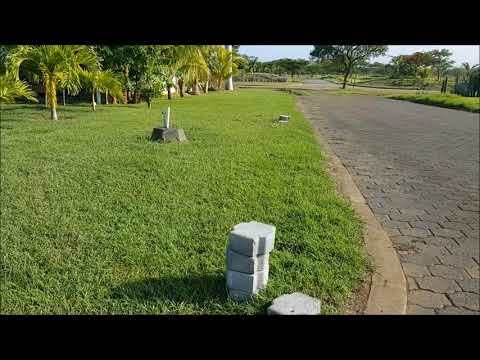 If you buy a Vacant Eco-Friend lot in Gran Pacifica Beach & Golf Resort, you will be escaping the urban life and will be enjoying your dream home in a piece of tropical paradise. This Vacant Eco-Friend lot is 2880 square feet, enough room to build your home, ideal for the kids to camp-sleep in next where you can have fun with all amenities offered in the resort. *A Brilliant opportunity to build your dream home. *Located on the golf course, steps from a stunning sandy beach and world-class surfing. The Vacant Eco-Friend lot is ready to be built. Besides it was designed with comfort in mind and boasts all of the best infrastructure: from underground electric, to fiber optic, high-speed wireless internet, purified water, paved streets, brick sidewalks, and beautiful Spanish Colonial Architecture. Besides, Gran Pacifica is very flexible on the exterior perspective of Spanish Colonial and the internal floor plan is completely up to the owner. In Gran Pacifica you will be able to enjoy many recreational activities such as: Golf, Surfing, swimming Horseback-riding, dining in an award-winning restaurant…and Much More! And if you like to volunteer for a good cause, you can do it in the surrounding communities with Gran Pacifica’s community outreach program. If you have not had the opportunity to visit Gran Pacifica, Now is just the right time to come and see what I am talking about and be part of the combination of living and feeling the North American beach-side style with the down-home feel of an old-fashioned community. Don’t pass up this opportunity to own one of the few remaining lots on one of the country’s most picturesque beaches and closest development to the capital city.